2009 wasn’t such a good year for funfairs. 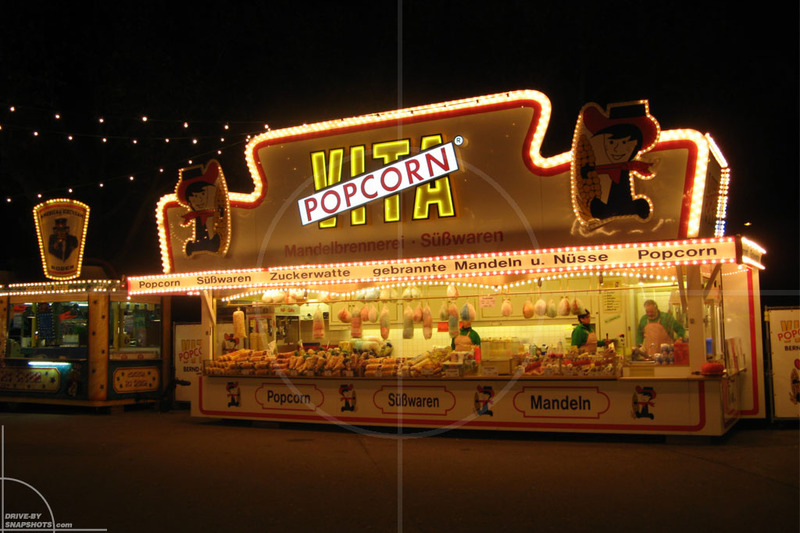 With the financial crisis hitting the economy hard in 2008, many people didn’t have a lot of money to spend on rides, hot dogs, popcorn, etc. This and the chilly bloody cold temperatures during the Karlsruher Mess’ gave us the rare opportunity of taking some nighttime funfair pictures, without having to worry about a crowd. Most of the pictures turned out to be awesome – but lonely and sad at the same time. Proof, that an economic crisis takes the fun out of a funfair. 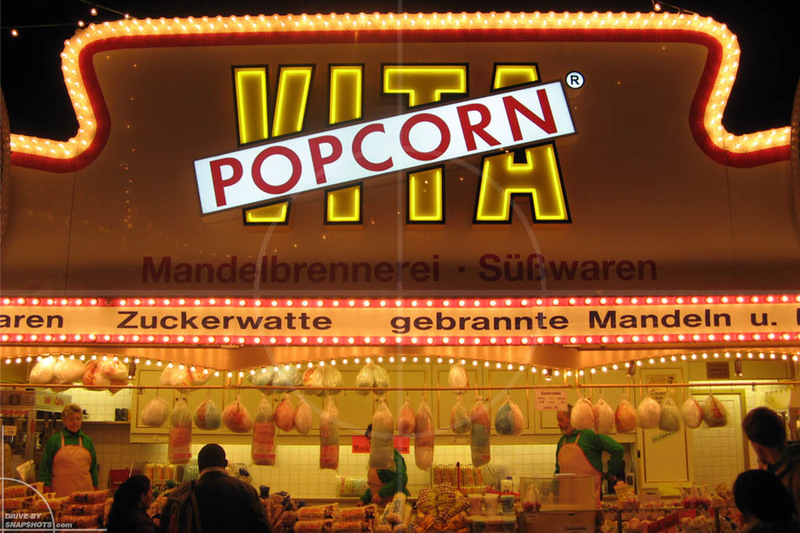 This post is dedicated to the beautifully lit Vita Popcorn® themed stall. 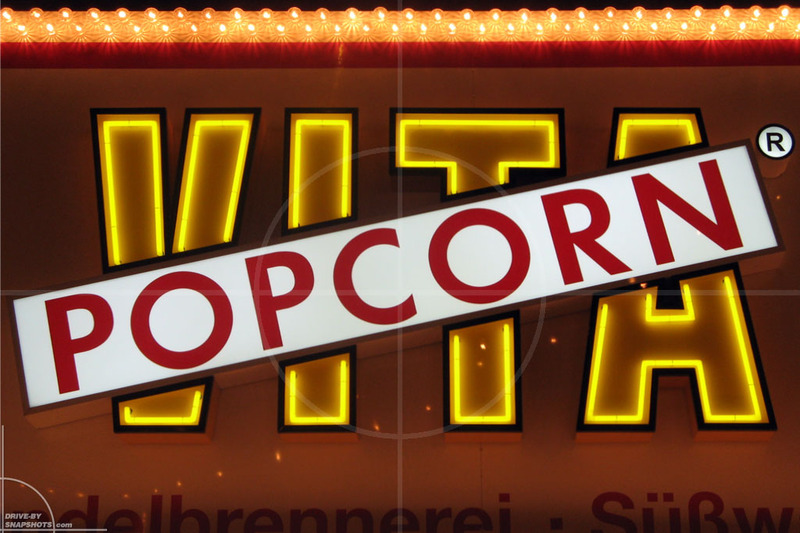 A homely, warm glow that really stood out from the more colorful neon lights surrounding it.